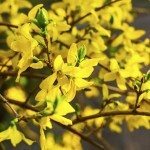 Can Forsythia Bushes Survive at Naples FL? Can forsythia bushes grow in Naples, Fla. ? 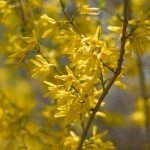 There are forsythia varieties that will grow in your area; however, it generally grows and blooms better where it has a fairly cold winter (Zones 4-8).